Undoubtedly, there was a lot of great metal released this year. 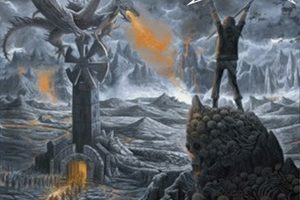 With new albums from Metallica, Megadeth, Anthrax, Testament, Death Angel, Sodom, Destruction, Flotsam & Jetsam, and Vektor, it feels like it was an especially strong year for thrash, but really when you get right down to it, there were scores of quality albums released in just about every genre and sub-genre of metal, further illustrating the fact that this music is not dying a slow, painful death and will be sticking around, even if just lurking in the underground, for years to come. Whether from veterans or newcomers, there is plenty of excellent metal to go around and I’m already looking forward to what 2017 has in store. Below, you’ll find the albums that either had an impact on me or stuck with me for one reason or another. Hopefully, you’ll discover something new, reconnect with an old favorite, or give something a second chance. 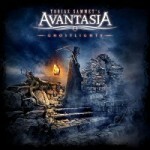 Is it possible for Tobias Sammet to write a bad song? 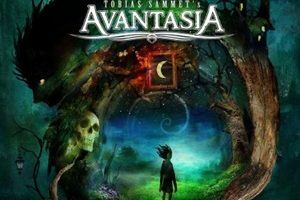 Whether indulging his light-hearted, goofy side with Edguy or his more in-depth, majestic side with Avantasia, the man always composes something pleasing to the ear. Be it fast rockers, gothic atmospheres, haunting ballads or bombastic epics, Ghostlights delivers in spades. From the first notes of “From the Rooftops,” I knew I was listening to something special. This very nearly took the No. 1 spot on my list. 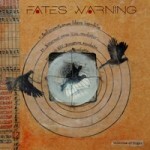 Featuring excellent songwriting from top to bottom, powerful vocals, and sweeping melodies that stay with you, you can’t go wrong with Theories of Flight. 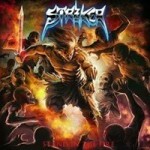 Combining elements of traditional heavy metal, power metal, thrash and the ’80s glam scene, Striker concocts a sonic brew full of party anthems, addictive melodies, heavy riffs and shredding solos on Stand in the Fire. A surefire can’t miss! 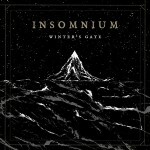 Not only is Winter’s Gate Insomnium’s first concept album, telling a winter Viking tale based on a short story penned by vocalist/bassist Niilo Sevänen, but it’s also their most varied, injecting elements of doom, progressive and black metal into their potent melancholic melodeath trademark. Oh, and they managed to do it all in one song. As fellow scribe Kyle McGinn said in his review, don’t sleep on this one. 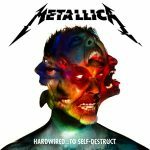 Metallica will always have its detractors, but for my money Hardwired is one of the band’s most complete albums to date. Featuring hard-hitting bursts of thrash alongside longer, more-developed pieces, and an overall darker tone, Hardwired combines the best elements of the band’s golden past with its ever-evolving, progressive future. All while losing none of the heaviness. 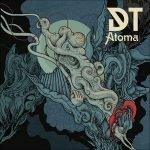 Dark Tranquillity has remained one of the leaders of melodic death metal, thanks to consistently releasing quality albums. Atoma continues that tradition. Dark melodies, sullen keyboards, a doom-like atmosphere, and Mikael Stanne’s ability to shift between raspy roars and haunting cleans, it’s all there. 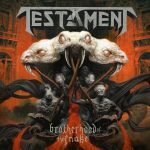 Testament have taken their brand of skull-pounding thrash heaviness to another level with their latest offering. Sharp songwriting, bludgeoning riffs, and Chuck Billy’s guttural growl over the top makes for one powerhouse of an album. 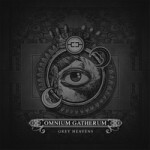 With albums such as New World Shadows and Beyond, Omnium Gatherum is building an impressive melodic death discography of its own. Grey Heavens is another worthy addition. The snaking, twisting guitar melodies really have a way of burrowing into the brain, and fit nicely with the punchy, up-tempo riffs. I don’t know if there’s anyone better at composing melodies than Chris Black, the mastermind behind High Spirits. 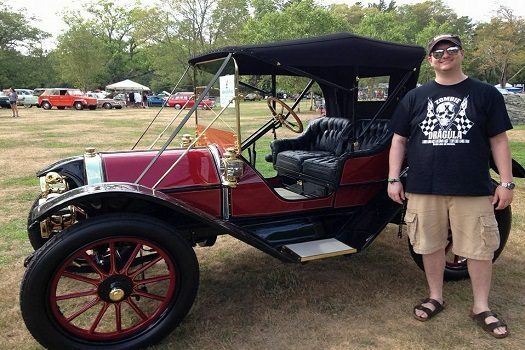 As far as traditional metal goes, you won’t find catchier, more infectious songs. 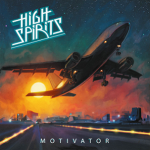 Head-banging, horn-raising, sing-along anthems are his specialty and there’s plenty of evidence on Motivator to show the well of High Spirits is far from running dry. 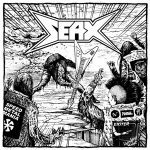 The latest album from Massachusetts speed maniacs Seax contains blazing tempos, scorching solos, hammering riffs and a punk attitude, but also shows the band knows how to write well-structured, memorable songs. The air-raid wails of vocalist Carmine Blades are sure to ignite the denim ‘n’ leather brigade, a la Ranger and Evil Invaders. 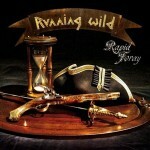 Not only is Rapid Foray one of the strongest RW albums of the band’s later period, but it’s made all the more impressive considering Rockin’ Rolf Kasparek had to rehab an arm injury and get it back in playing shape to record the album. The band’s signature galloping riffs, Rolf’s gritty vocals and fun, fist-raising anthems are all present on the captain’s latest offering. Big, cavernous drums, icy, buzz-saw guitars and Abbath’s signature rasp, all rounded out with some balls-to-the-wall, rock n’ roll Motorhead swagger, are what you’ll find on the former Immortal front man’s solo eponymous debut. 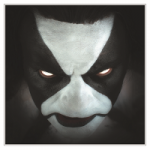 While it’s a formula that served him well on the excellent Between Two Worlds, released under the I moniker, Abbath sounds more like picking up where Sons of Northern Darkness left off. To war, indeed!